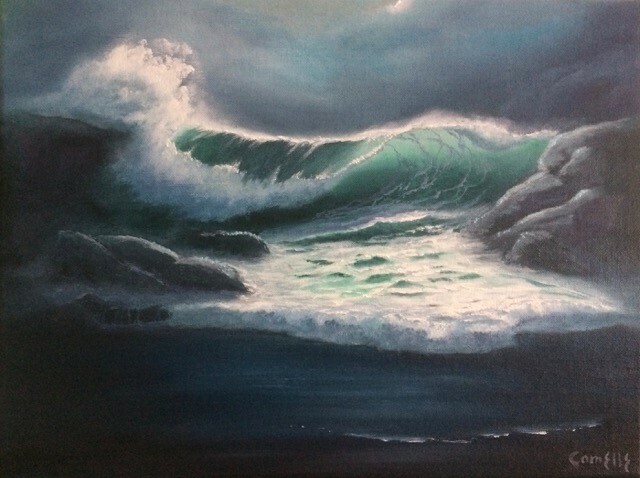 Camelle changes her technique and subjects often, from beloved pet portraits to mountains to seascapes with occasional paintings influenced by the “Northern Lights” as in her Energy of Light paintings. Painting from her heart, being inspired by the awesome power and beauty of nature’s stillness, yet always moving whilst trying to capture her elements as she sees and feels them. Art is a visual expression of emotions. Music is her companion as she paints and can sometimes determine the outcome!